Get notified when Jessica will be in your area! 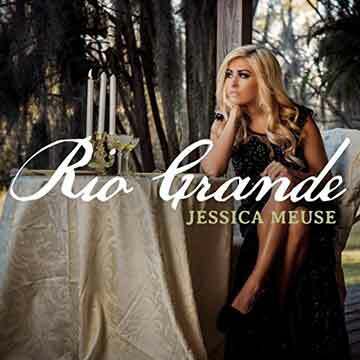 Congrats to Brianna Champion in Montevallo, AL on winning the Jessica Meuse Contest! A HUGE thank you to the #MuseMafia for all of your submissions for the Capitol Records #MuseMafia contest! I personally went through each and every video and watched them from beginning to end -- multiple times! The effort and love y’all put into the videos reflects, and some even made me tear up a little bit (in a good way, of course)! That said, I want you to know how incredibly hard it was to choose ONE…just ONE winner for the grand prize to fly to Los Angeles and spend a day at Capitol Records with me in May. In fact, there were so many great videos, I was only able to limit it down to five heartfelt entries and then we had to have a random drawing today for THE ONE…and the winner is…Brianna Champion of Montevallo, AL!!! Congratulations, Brianna, I’m so looking to connecting with you in Hollywood! Warrior Records is sending you an email shortly to go over details (it’s being sent to the email address you used to enter the contest). It will be coming from jessicameusecontest@WarriorRecords.com, so if you don’t see it soon, be sure to check your email program's spam or junk drawer! Win or lose, I thank you all so much for the time you put into making these videos, as well as for being a part of my amazing fanbase. You guys are the reason I keep going -- my muses! Thank you and so much love! Signup today and stay connected with Jessica and Warrior! 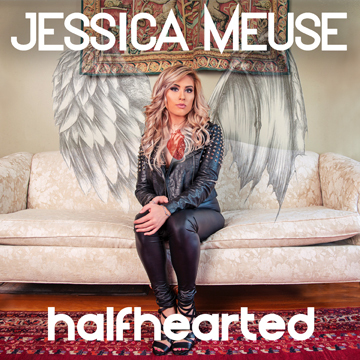 Los Angeles, CA (February 21, 2019) - Jessica Meuse "Halfhearted" marked the first album released by the American Idol Season 13 (Top 4) Finalist. Since coming out on August 3rd, the release on Warrior Records has been a Top 10 iTunes Country Album and just passed the 4 million song stream milestone across the various digital music services. The next tour stop for Jessica is Saturday, February 23rd at Jackson Rancheria Casino in northern California and she will also continue contributing to various charitable events this year as a St. Jude Hero. Visit her website for the latest information. 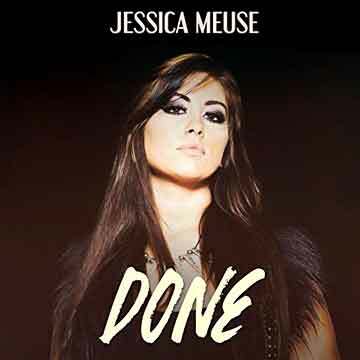 Jessica Meuse is an American performer from Slapout, Alabama. She has wowed audiences since the age of 10 and plays several instruments (guitar, piano, and classical violin). At 20, Jessica won the statewide artist showcase, Stars of Alabama. A spot on Season 3 of NBC’s The Voice followed, where she made it to the blind auditions and was on Vans Warped Tour. 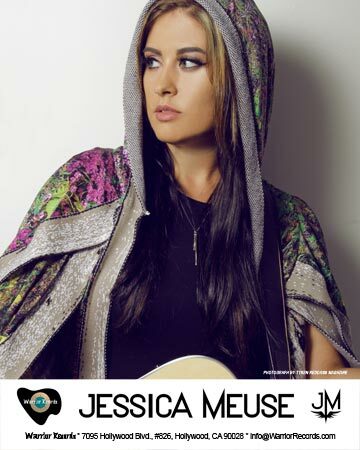 In 2014, Jessica was selected by American Idol's Keith Urban, Jennifer Lopez, and Harry Connick, Jr., for Season 13 of the TV series where she rose to be a Top 4 National Finalist, subsequently touring across the USA and Canada. Currently, Jessica is signed to L.A. Entertainment, Inc.'s management division, LA Group Management, and she dedicates time to raising awareness about Domestic Violence, Cyberbullying, Children’s Cancer Association, St. Jude, and other organizations, while continuing to record and tour.